The Troop Committee is responsible for conducting the business of the troop, setting policy, and helping the Scoutmaster and Scouts with the outdoor program and other planned activities. The committee also has the responsibility to provide adults for boards of review. This is an important responsibility and is one area where help is always needed and appreciated. The committee consists of parent volunteers who fulfill various roles on the committee. The troop Key 3 consists of the troop committee chair, the Scoutmaster, and the chartered organization representative. The unit commissioner serves as an advisor to the Key 3. 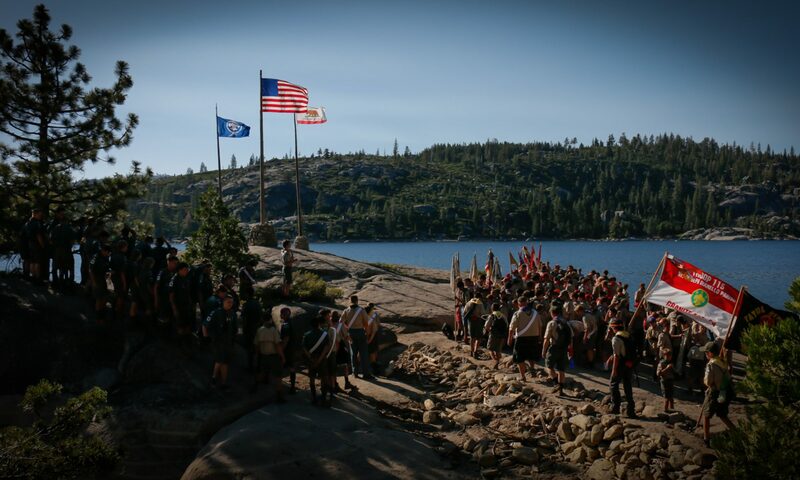 This group usually meets once a month to discuss the troop, its challenges, upcoming events, and progress toward completing its action plan and Journey to Excellence goals just like any other Scouting Key 3. It is a time for the troop’s Key 3 to spot early warning signs and work together toward continued troop success to support the troop’s youth leaders. The unit commissioner meets with them to support their efforts, to help with problem solving, and to keep the troop moving in sync with the district and council calendars. The chartered organization representative is a member of St. Joseph Marello Parish who serves as a liaison between the troop and the parish, and the parish and the BSA local council. His or her primary responsibility is to recruit the troop committee and help it recruit a Scoutmaster and assistant Scoutmasters. The COR sees to it that all adults involved serve the best interests of the parish and the BSA. He or she becomes a member of the BSA council or district, representing the parish and the troop. Conducts the troop resource survey. Pays bills on recommendation of the Scoutmaster and authorization of the troop committee. Maintains checking and savings accounts. Keeps adequate records of Troop accounting. Leads in the preparation of the annual troop budget. Coordinates the annual Friends of Scouting campaign. Reports to the troop committee at each meeting. Work with the ASM Administration to maintain all Scout advancement records. Arrange timely boards of review and courts of honor. Obtain all necessary badges and certificates. Develop and maintain the troop’s merit badge counselor list. Maintain the troop’s advancement records. Report troop advancement on the correct form to the local council service center. Secure permission/permits to use camping sites. Ensure a monthly outdoor program. Secure tour and activity plans for troop activities where required. Work with the ASM Administration to assemble the medical and insurance binder for the Scoutmaster to take on each outing. Develop a plan for year-round membership flow into the troop. Work closely with the Cubmaster and Webelos den leader of neighboring Cub Scout packs to provide a smooth transition from pack to troop. Assist in developing and recruiting den chiefs, and assist in the crossover ceremony from Webelos Scouts to Boy Scouts. Plan and coordinate a troop open house to invite non-Scouts into the troop. Encourage Scouts to invite their friends to join the troop. Keep track of Scouts who drop out of the troop, and develop a plan to encourage them to rejoin. The unit training chair is appointed by the committee chairman to ensure training opportunities are available, maintain training records and materials, and is responsible for monitoring BSA Youth Protection status of all leaders. Ensure troop leaders and committee members have opportunities for training. Maintain an inventory of up-to-date training materials, videos, and other training resources. Work with the district training team in scheduling required training for all new leaders. Be responsible for BSA Youth Protection training within the troop. Encourage periodic youth leader training within the troop and at the council and national levels. Be watchful that the troop is taking all steps to ensure the boys’ safety. Obtains money-earning approvals from council as required. Recruits and supports a “Popcorn Kernel”, who runs the annual popcorn sale. Recruits and supports a “Camp Card Master”, who runs the annual card sale. Works to identify other money-earning projects throughout the year.